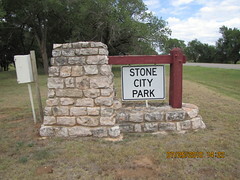 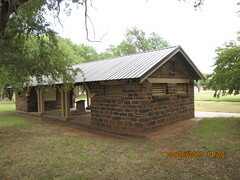 This native rock "Shelter House" was built by the Oklahoma Highway Department in early 1938. 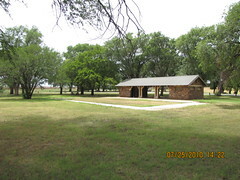 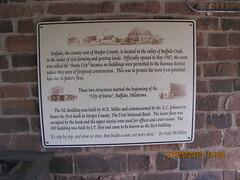 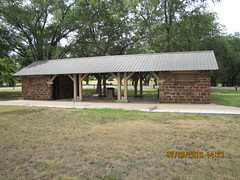 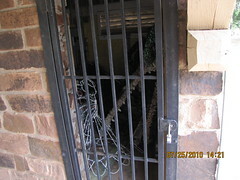 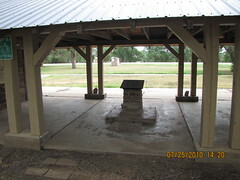 The shelter was used as a bath house afte the poll was built. 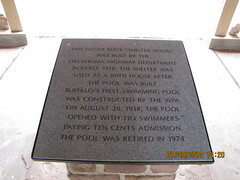 Buffalo's first swimming poll was constructed by the WPA on August 20, 1938, the pool opened with110 swimmers playing ten cents adminssion. 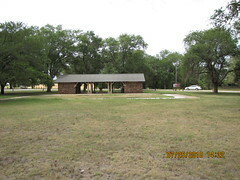 The pool was retired in 1974.